Chamblee Lady Bullldogs Track Team Wins 3rd Championship in a Row! 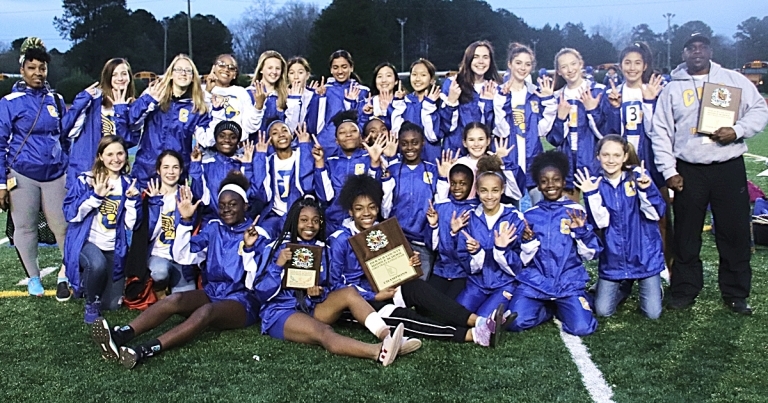 Congratulations to the Chamblee Lady Bulldogs Track Team for winning their 3rd consecutive Dekalb County Middle Track Championships and 6th championship overall. They held off a late charge by the Chapel Hill Lady Panthers to take the title 77.50 to 66. Congratulations also to Coach Jett for being named the DeKalb County Coach of the Year for the 3rd year in a row. Click here to see a full article about this impressive accomplishment by the CMS Lady Bulldogs Track Team. Students who have lost or broken Chromebook chargers and/or bags can order replacements online through the link below. 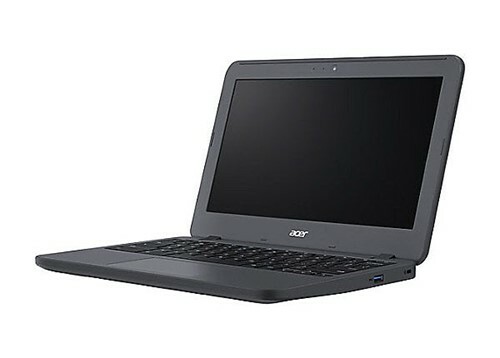 ** Make sure you are purchasing replacement chargers and bags for the student Chromebooks (Acer R-11) not for faculty Chromebooks. Click on the link below to see the schedule for Georgia Milestones EOG/EOC and MAP. Testing will run between April 16 and May 13. Click on the links below to access the following Student/Resource Guides provided by the GaDOE: End of Grade, End of Course and Experience Online Testing Georgia. Experience Online Testing Georgia is a practice site that allows students to see what testing online is like. The primary purpose is to let students experience the functionality of the online testing platform. This site is open to parents as well. Summer Registration for new, rising and returning students will be held every Tuesday and Thursday during June and July. 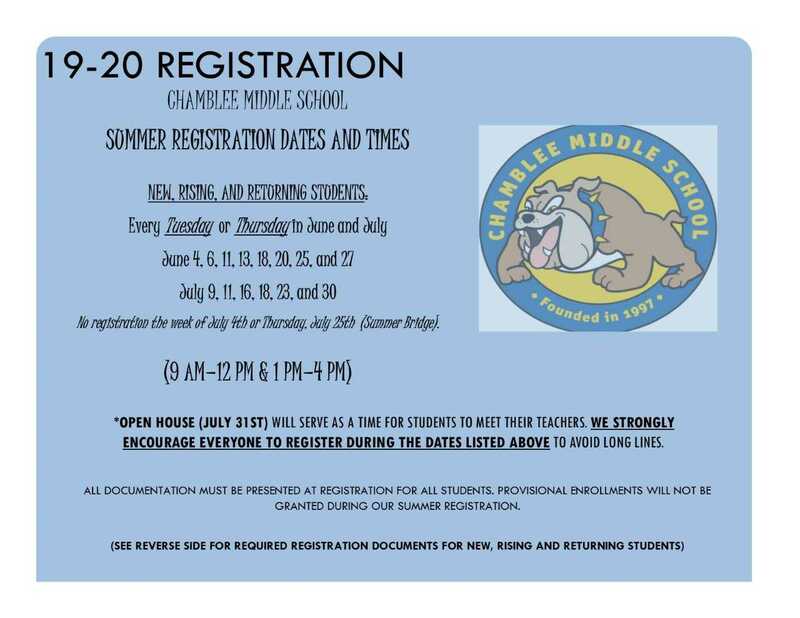 Click on the links below to download the Summer Registration flyer. Congratulations to the following students who participted in the Foreign Language Association of Georgia Spoken Language Contest on Saturday, March 16. All of these students received the highest rating of Superior. 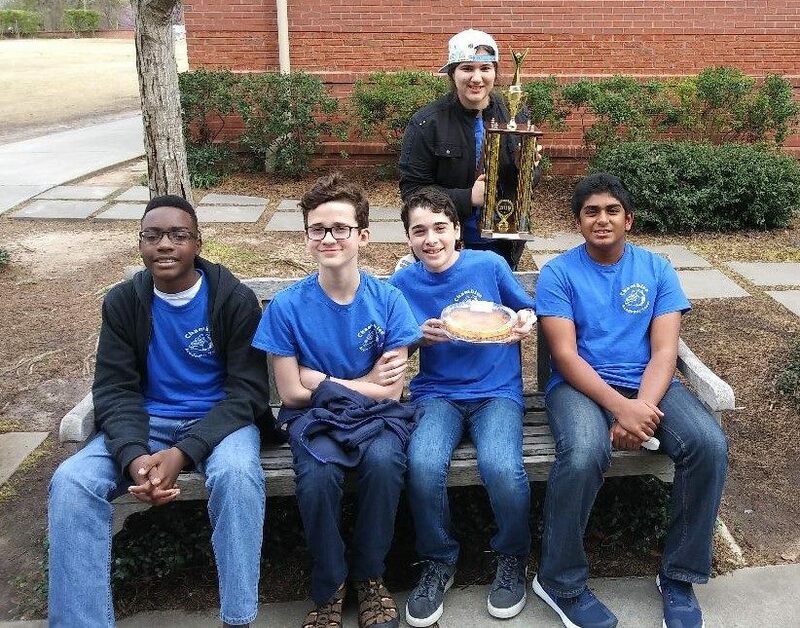 Congratulations to the Academic Quiz Team for winning the Paidea School Pi Fight tournament on Saturday, March 16. This is the second tournament the team has won this year. 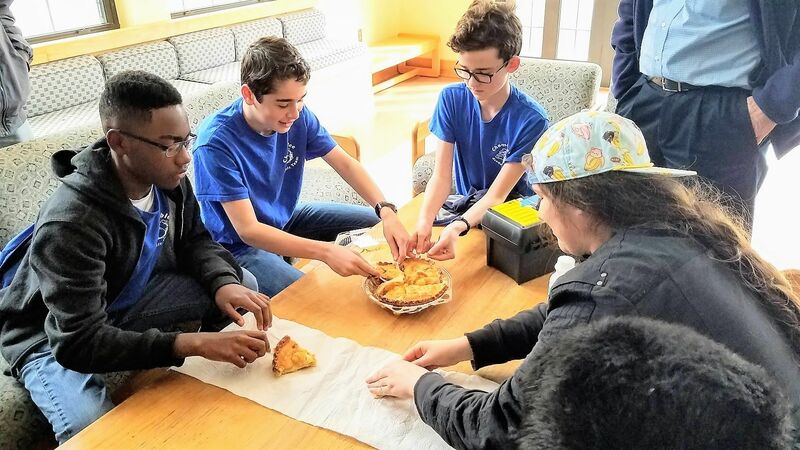 In addition, the team has achieved an impressive feat of consistency by making the top 4 of every tournament in which they have competed this year. The students were excited that they got a whole apple pie to share as a reward for their excellent performance!! 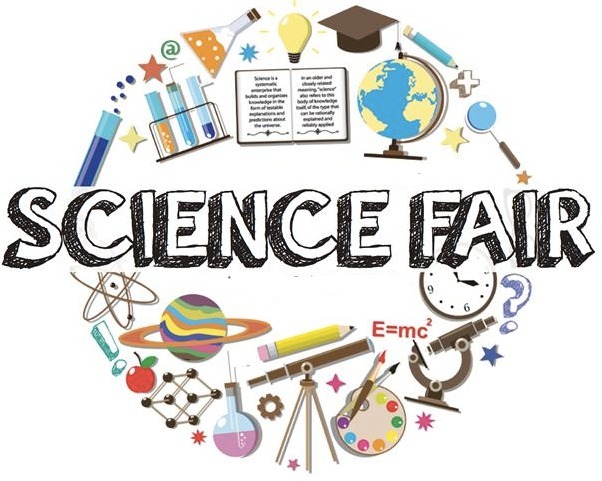 CMS Sending Science Projects to State! 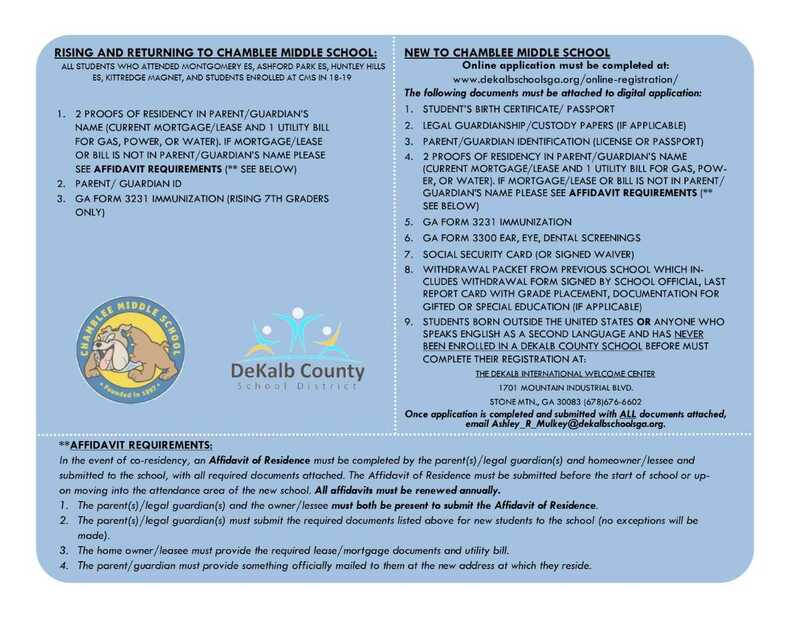 Click the links below to access forms in order to receive a Chromebook through the DeKalb County School's Digital Dreamers program. Click here to access a list of supplies students will need. The DeKalb County School District and all of its schools are engaged in an ongoing continuous improvement process, of which all stakeholders are an integral part. The DeKalb County School District is using the AdvancED Parent Survey as a means to elicit your opinions to help target areas for the school system to improve and areas to continue to be effective. The five sections on the survey represent the five AdvancED Standards for Quality School Systems and provide a means for learning about parent expectations of a high-quality school system. Below, you will find the link which will allow you to access the survey. Your cooperation and support in completing the parent survey will be greatly appreciated. Parents: Click the link below to add your email address to our mailing list.